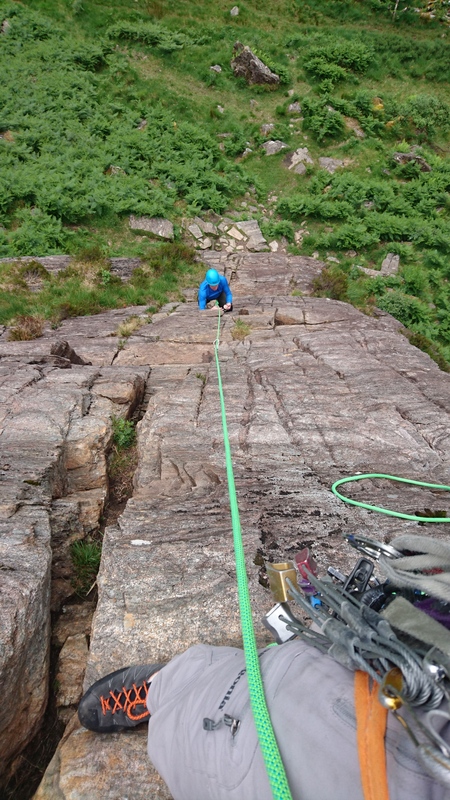 Since arriving home from a bit of a social in Budapest I’ve blown the cobwebs out at the new Fort William climbing wall 3WM and had a couple of aborted cragging days due to soggy or midge ridden conditions. 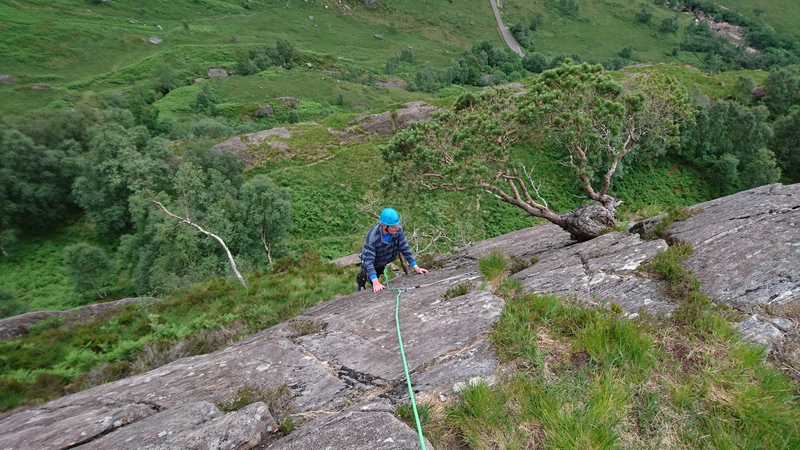 Today it was nice to be back down ‘the Glen’ working with John who was keen to rework his rope skills after having a little time away from climbing. 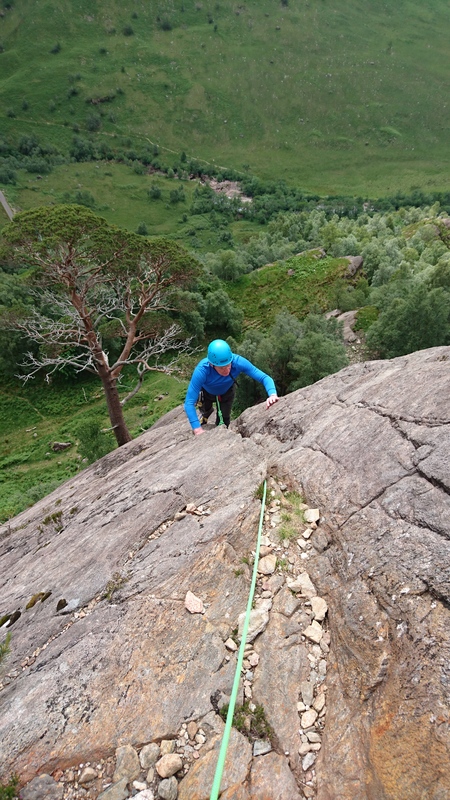 We focused on routes which can be split to give John the best learning environment for his future ambitions.. We climbed 9 pitches in all including Pinnacle Ridge (S), The Gutter (D), Right Wall – Styx Buttress (VD) and Three Pines (VD). 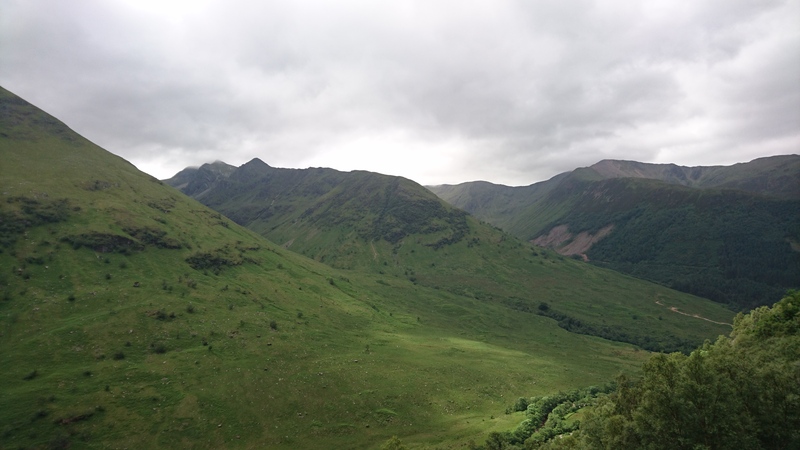 It was midge hell when we arrived but stayed dry and got windier as the day went on.